Rotherham and England have been handed a boost in their bid to host the 2021 Women’s Euros after it was revealed that the FA was the only national governing body to submit a bid for the competition. Austria were thought to be the only possible rivals to host the competition, but have instead turned their focus to hosting the Women’s Champions League final in 2020. Rumours had been circling online that the FA were the only nation to bid for the 2021 tournament, but BBC journalist Tom Garry has confirmed on Twitter that England can expect to host the competition barring any major issues. Although the deadline to submit a bid has passed, England and the FA will have to wait until December to be officially confirmed as hosts. 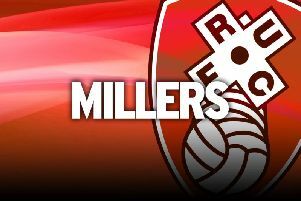 Rotherham’s AESSEAL New York Stadium and Sheffield United’s Bramall Lane are both part of the bid as proposed host venues for the competition. The Netherlands hosted the last tournament in 2017, when England reached the semi-final before being knocked out by the home nation who were the eventual winners.